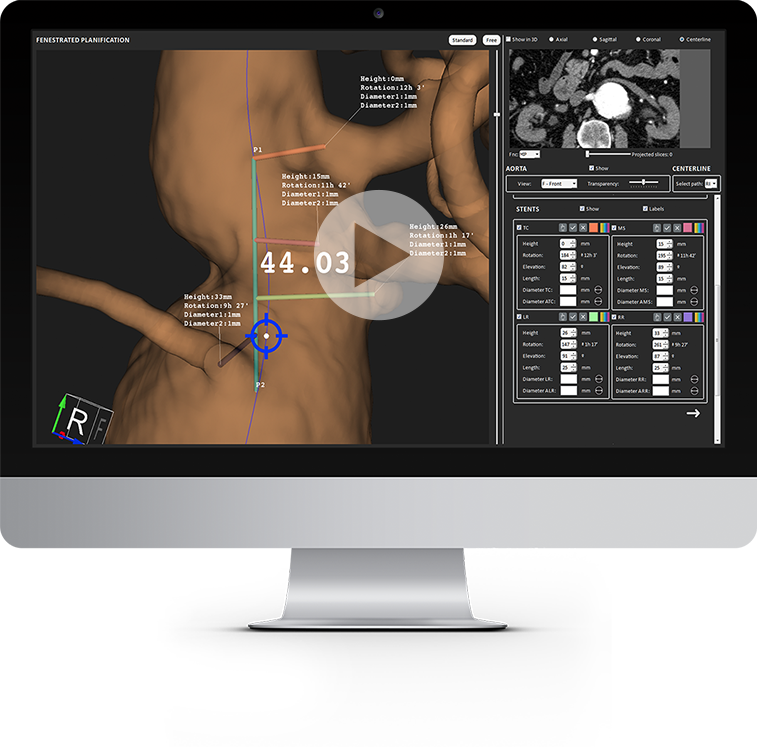 eVida® Vascular is a software tool, available for MAC and PC, that facilitates the monitoring and analysis of Aortic Aneurysms, preoperative planning in endovascular repair (EVAR, TEVAR, FEVAR) and permits the stent design for both regular and fenestrated aortas. eVida® Vascular has CE Full Quality assurance system Certificate in accordance with Directive 93/42 / EEC. Basic 2D tools for the analysis of the previous case (Window/Level, Zoom, MIP, MPR, CPR….). Semi-automated segmentation of the aorta. 3D Representation of the aorta with a flat 2D reference. Endograft principals and virtual stents in 3D. Database for revisions, monitoring, etc.